​IMS wet emergency chlorine scrubber systems are designed to contain and treat accidental releases of chlorine gas. Systems are offered to treat up to three tons of chlorine gas. 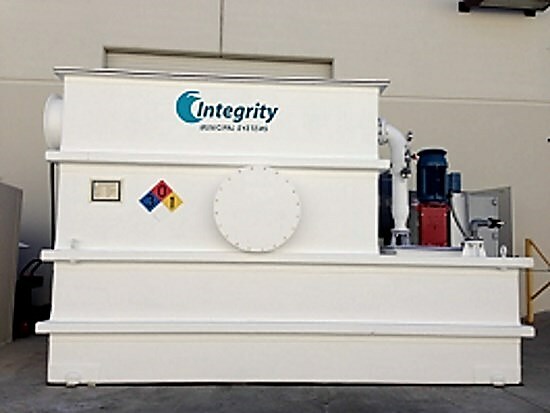 ​The IMS wet emergency chlorine scrubber is a three-stage single-pass chemical absorption system with very high efficiency horizontal packed bed sections. An induced draft fan pulls the chlorine gas through the scrubber, where it contacts a recirculation caustic solution. 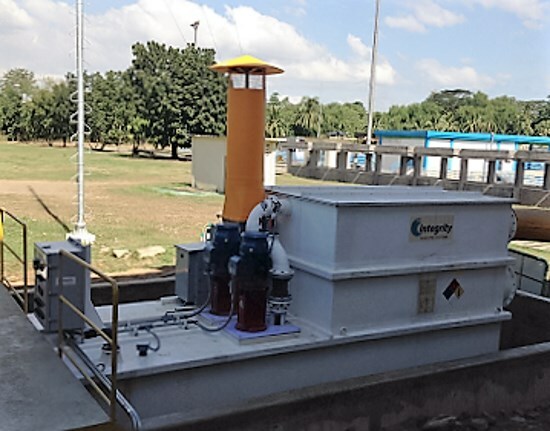 The scrubber system is factory pre-assembled, complete with induced draft fan, recirculation pump, instrumentation and controls. The system design was subjected to the most demanding testing in an actual full scale one-ton chlorine release and surpassed the requirements of the Uniform Fire Code Section 80. Please contact us here for more information on our Emergency Chlorine Scrubbers, product specifications, or a customized project quote. Integrity Municipal Systems, LLC partners with its global municipal and industrial clients to design, manufacture, and deliver innovative, practical, and cost-effective process solutions with its packaged chemical feed systems, lime slaking equipment, odor control systems, and emergency chlorine scrubbers for water and wastewater applications.